The talk in targeting today is how social media engagement is a must for marketers’ retargeting efforts. The buzz is based on a study by programmatic ad platform Chango, which analyzed 400 media professionals in the U.S. and Canada to find out what mattered most in retargeting. According to the study, 41% of respondents stated that social network exchanges were essential to targeting customers who have expressed an interest in a product or company. PerformanceIn.com posted highlights from the study to explain why targeting the talk on social media networks is the route to retargeting success. The study revealed that more than half of media buyers and brand executives are currently using retargeting to entice new customers, and that 42% cite retargeting as worthwhile way to build brand awareness. The research showed that since the majority of retargeting is based on a consumer’s prior actions and interactions on the Web, connecting with these consumers through social media was one of the best ways to reach and resonate with them. But not all platforms were considered equal. Facebook was favored by most marketers, with 67% of respondents using the network’s FBX service to target Facebook users by their browsing histories. Twitter also proved popular, with more than one-third of respondents using the platform’s Tailored Audiences tool to meet their retargeting needs. And it should be no surprise that mobile has practically redefined retargeting today. The study showed that one-quarter of marketers now devote between 21% and 50% of their online spend toward mobile marketing, which is triple the amount of the previous year. And since more and more consumers are accessing social media platforms through their smartphones and tablets, it makes sense for marketers to target their retargeting to reach these mobile-minded social users. Whether through traditional Web or mobile means, social media interactions speak volumes for retargeting and should be part of the conversation for marketers seeking a say with consumers. 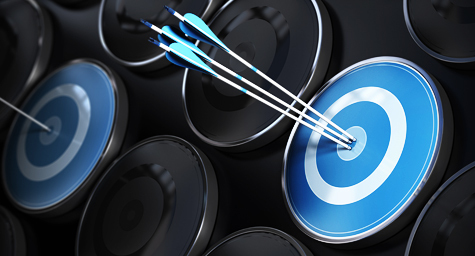 Take advantage of the retargeting opportunities in social media marketing. Contact MDG Advertising today at 561-338-7797 or visit mdgadvertising.com.